I thought I’d share a recent project that my husband and I worked on together. 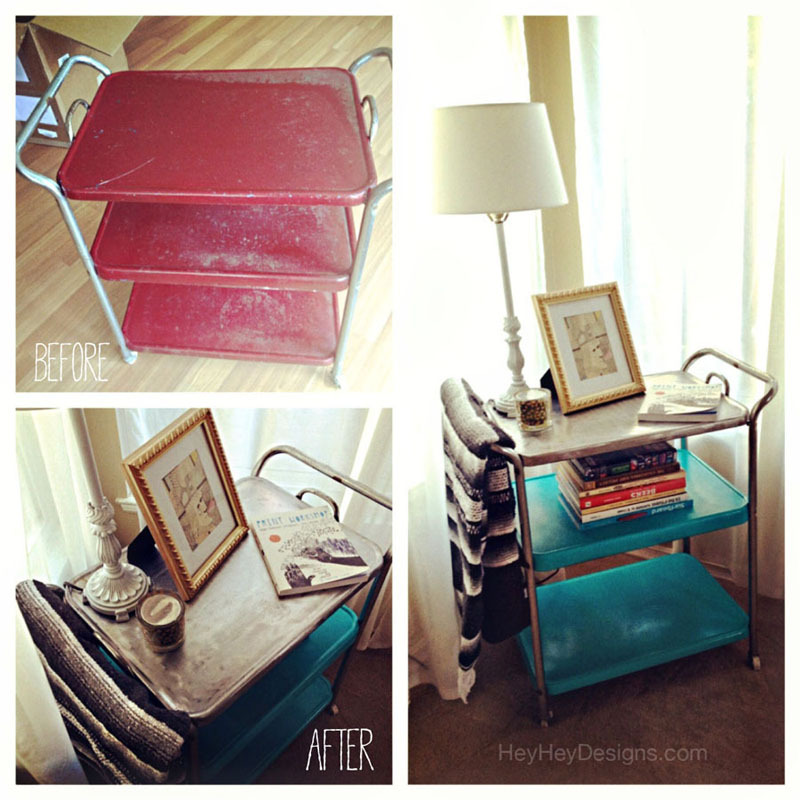 We found this sad little vintage metal cart on Craigslist and gave it a makeover! We sanded the paint off of the top tier, used tin foil to scratch off as much of the rust from the metal as possible, and then spray painted the bottom two shelves.